Your database can be the most powerful weapon in your brand arsenal. Accuracy is critical to your success. DataCleanse can make all the difference. Your organisation relies on accurate, up-to-the-minute data. Get cleansed and you’ll always know how to easily reach your most dedicated audience. 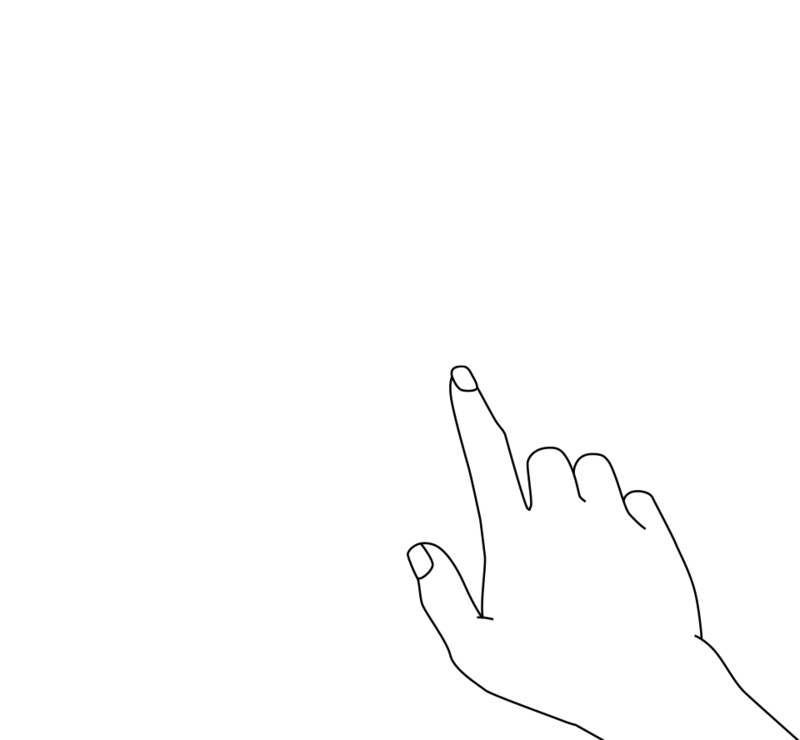 Dive deep and gain potent insight. Apply your refreshed market knowledge to target your communications for maximum impact. Grow your club. Reach more customers. Talk to a broader segment. Develop new ways to grow and increase brand exposure. Your resources are valuable and performance matters. When you kick into action, make sure your voice is being heard. You too can become a certified data tamer. 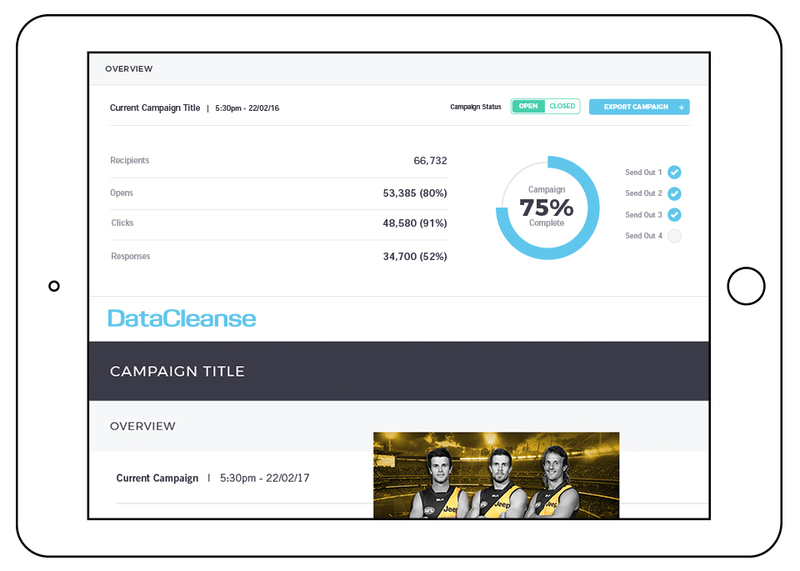 Champion of your brand army with real-time stats, analytics and campaign management. one-click solutions translate to higher click-rates and stats like these. 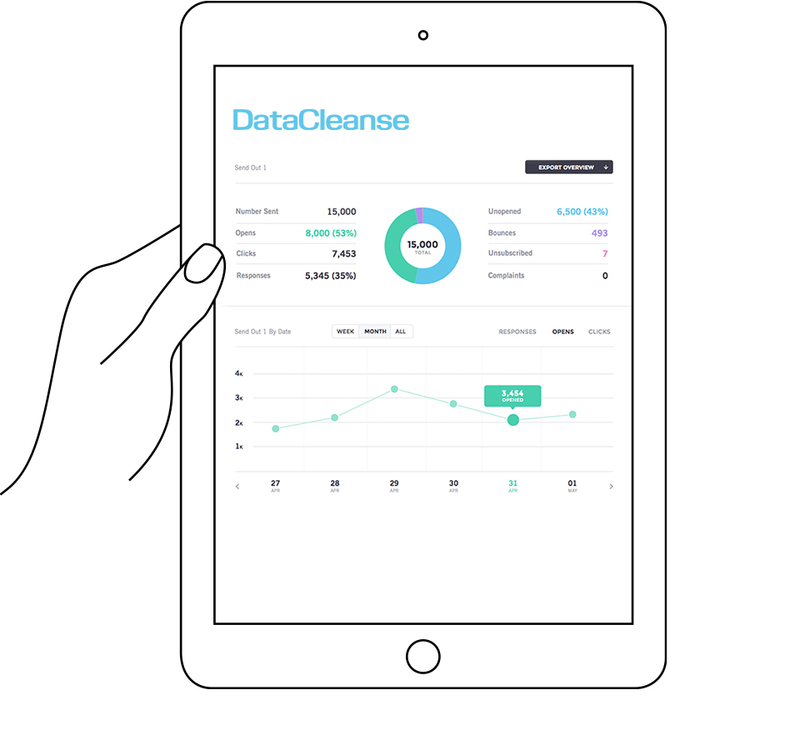 Find out how DataCleanse can work for you. Contact us on +61 3 9090 7000 or enter you details below and we will be in touch to discuss your custom solution.